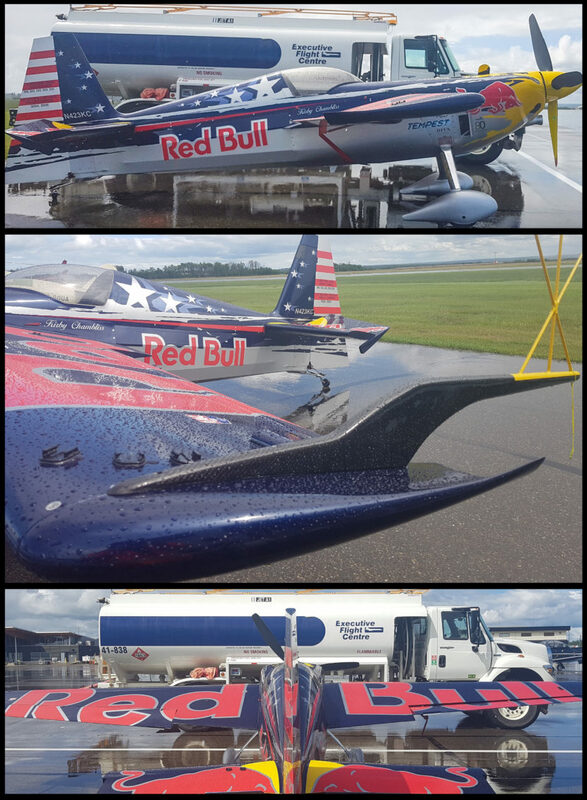 Executive Flight Centre’s Fort St. John location had a unique visit with a Zivko Edge 540, which is used in the Red Bull Air Race World Series. Constructed to be as light as possible to ensure maximum speed, they have to be extremely robust and tolerate the stress of up to 10 times the force of gravity (10Gs). These propeller-driven machines are highly maneuverable, pulling up into a vertical orientation at high speed with very little effort – something that even modern fighter jets can’t match.